Devcards is a ClojureScript library that is my attempt at creating a literate interactive coding style. It allows developers to interactively surface code examples into a web interface live from the source code that they are currently editing. Devcards works by surfacing a set cards which represent code examples. Taken together these code examples allow you to create a valuable interactive web based artifact that both documents your code and allows you to go back and interact with your code as your project changes. In this talk I will demonstrate why Devcards or something like it is necessary and then go on to build up an interesting program one Devcard at a time. Bruce has hiked the Appalachian Trail, and enjoys living in a demountable Dome of his own design. 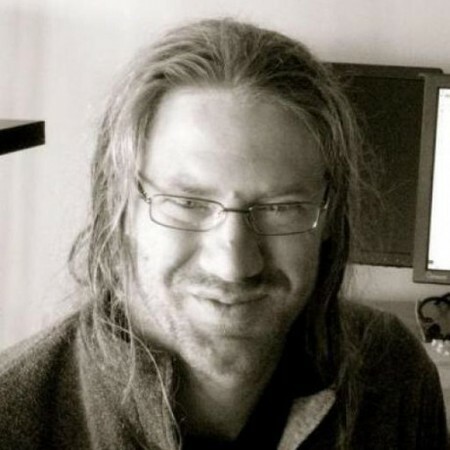 He is the author of the blog rigsomelight.com, and the figwheel library for ClojureScript. He is just plain addicted to programming.